Go for the best! 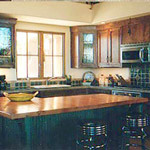 Artisan-quality remodeling, renovations and construction. 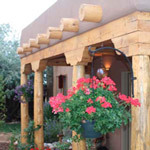 Hagen Builders has earned a solid reputation as an experienced local contractor focusing on remodels, renovations and home makeovers in Santa Fe and the Northern New Mexico area. With high quality workmanship, responsive service and reliable dependability, Hugh Hagen and his crew have consistently exceeded their clients' expectations. As a licensed, bonded and insured professional contractor, Hugh Hagen takes pride in the countless satisfied customers that have trusted his expertise and workmanship over the years. "My clients know," says Hugh, "from our first meeting to the last day on the job, that I am available to them and am constantly monitoring the work to make sure it is completed to their satisfaction. Knowing their job is in good hands and giving them that peace of mind, helps to ease any concerns they might have. A remodeling project or home renovation can sometimes be a major disruption and we aim to make it as smooth a process as possible." "Working with Hagen Builders has been a most pleasurable experience. They are professional, competent, and timely. We have not found anything they cannot do and do it well. I would describe them in two words: true artisans." 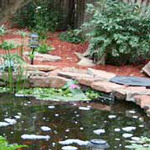 Give us a call for a free estimate or to talk about your next building, landscaping or remodeling project. 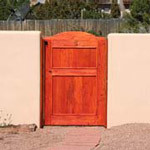 You can reach us at 505.670.6069 or just click to send us an email. We look forward to hearing from you! patios, decks, flagstone, brickwork, stucco, American Clay plaster, indoor/outdoor fireplaces and so much more! Count on a licensed, bonded and insured general contractor for professional repairs, remodels and construction. 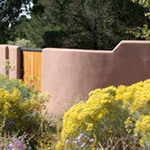 Serving Santa Fe, NM and the greater Northern New Mexico region.